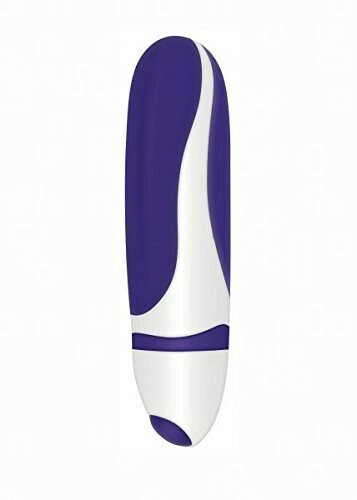 Easy to handle and big on power, Adam & Eve’s petite vibe fits into any tight spot for instant pleasure! Two silky-smooth silicone sides let you experiment with a smooth curve or subtle ridges. Push a button and hang on, because you’ll be blown away by 7 intense vibration functions. Press and hold the button for 3 seconds to turn off. Wateresistant and travel-friendly for fun anytime, anywhere.